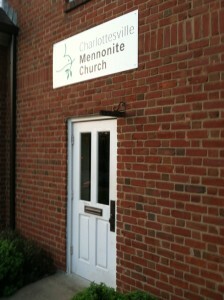 Charlottesville Mennonite Church emerges from a rich Anabaptist heritage where community, peace-building, and Christ-centeredness prevail. 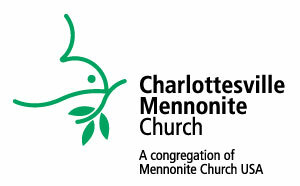 We are a Mennonite Church USA congregation. 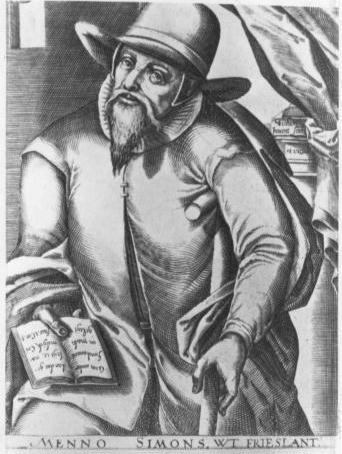 Mennonites are a Christian faith group that began in the 16th century. Currently there are over one million members world-wide. Mennonite beliefs and practices vary widely, but following Jesus in daily life is a central value, along with peacemaking. 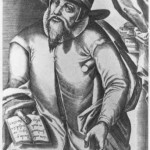 Menno Simons was an early prominent leader and eventually the group became known as “Mennonites” because of his name. To understand more about our core beliefs, go to the Mennonite Confession of Faith. 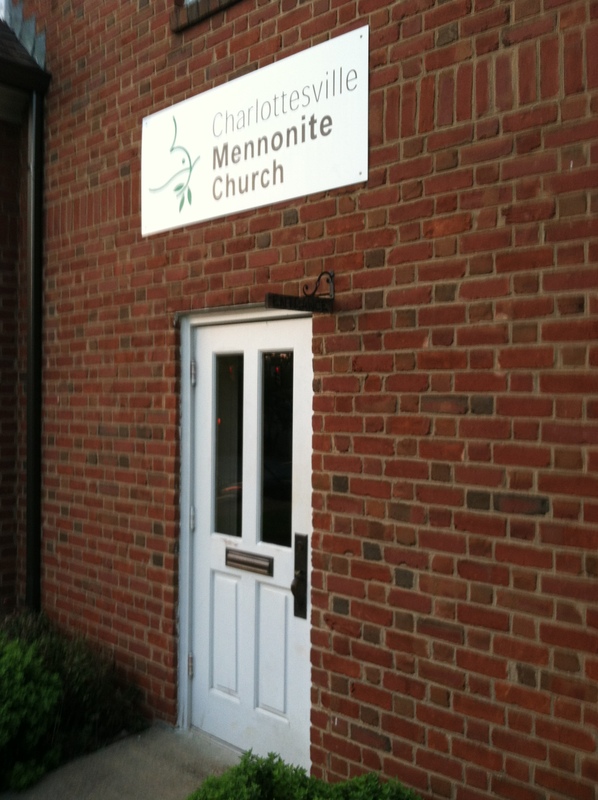 Charlottesville Mennonite Church was founded in 1958, and has been shaped by committed leaders and fellow worshippers for almost a half-century. Among its historical highlights, CMC was instrumental in forming a bi-national Mennonite mission service for women (Women’s Missionary and Service Commission). If you're interested in learning about the strong tradition of volunteerism among Mennonites, visit the Mennonite Central Committee (MCC) website at www.mcc.org. MCC is a worldwide ministry of Anabaptist churches, that shares God's love and compassion for all in the name of Christ by responding to basic human needs and working for peace and justice. MCC envisions communities worldwide in right relationship with God, one another and creation. You can read more about MCC's purpose and vision, priorities, approaches, values and convictions on their website. Another good resource for finding out more about Mennonites is the Third Way Café. It's an online source for current perspectives and topics in the Mennonite community around the world – click on www.thirdway.com. There you will find background articles on the history of Mennonites but also what Mennonites are up to around the world. One of the many wonderful ministries at Third Way Cafe is the Shaping Families broadcast (and other media). Shaping Families offers help with family issues and provides keen insight for real world issues. Ken and Ruth Heatwole were instrumental in the formation of Charlottesville Mennonite Church – first as a small group meeting in private homes, then moving to several rental properties, and finally church ownership in our present location. Ken and Ruth anchored our church family for many years in many ways. They both taught Sunday School, Ruth led singing, and Ken was affectionately known as "The Candy Man" by children. Most visitors and newcomers to church were welcomed into the Heatwoles' home for a meal. They graciously provided lodging and meals for many out-of-town travelers, as well as family and friends of patients in UVA Hospital. Ken and Ruth were active in community work. Ruth read regularly for Recording for the Blind and Dyslexic, and Ken spent countless hours volunteering for Love, INC, both as a Board member and as the contact person for our church. We miss their leadership and friendship but wish them well as they enjoy their retirement at the Virginia Mennonite Retirement Community in Harrisonburg, VA.
Charlottesville Mennonite folks, in several respects, are a diverse crew. While we're rooted in a city context, many members come from the surrounding countryside. While the University of Virginia has drawn many academic and professional types, we are also comprised of business people, social workers, artists and teachers. We come from diverse backgrounds: rich and poor, conservative and liberal, Mennonite and other denominational traditions, local to international. All of this and more provides for spicy conversation around the uniting power of Christ. With the arrival of our current co-pastors in 1999, we celebrate the strength of shared leadership. Together, Roy and Maren Hange bring a persuasive sermon style, a knack for nurture, and generous invitations to dinner around their table. (Tip: Hold out for the Indian food.) Roy Hange also oversees the 14 churches of the Harrisonburg District of Virginia Mennonite Conference and teaches a course on Faith Based Peacebuilding at Eastern Mennonite University’s Summer Peacebuilding Institute http://www.emu.edu/cjp/pti/spi/. 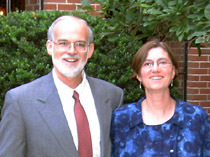 Roy and Maren lived in Syria and Iran during the 1990s. From their experiences there they bring powerful messages of hope, healing and transformations through God's love. Roy has also written on the life-giving and transformative nature of prayer. As a Christian community we strive to realize God's vision, healing and hope for our lives, our community and the world. We seek this vision together through support for each other, acts of witness and service in our community and calls for more peaceable and just ways of relating in our world. We welcome you to join us in the joy of being a community with a vision of healing and hope.